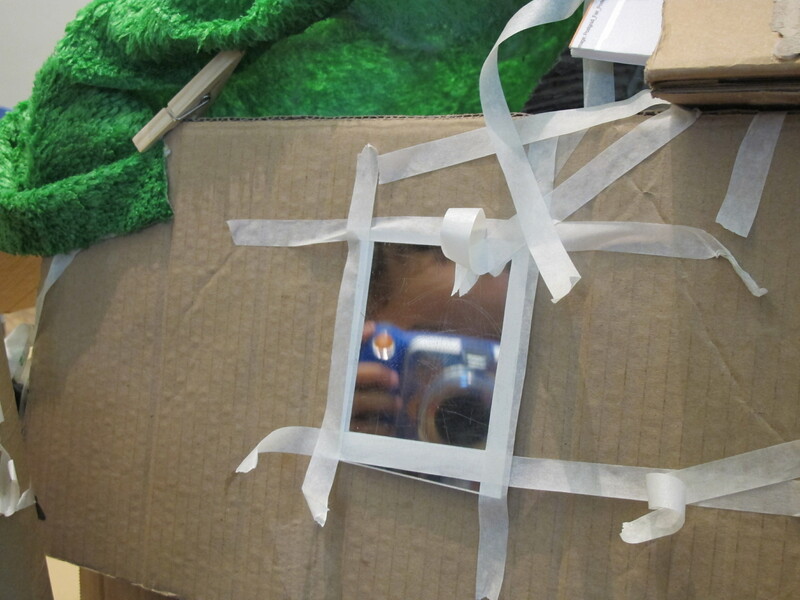 This post features a summary and reflection on the theory, principles and practices of the Reggio Emilia process of pedagogical documentation. The possibilities and challenges of what this reflective methodology holds for children’s gallery education are also discussed in relation to my doctoral research. Last week I was fortunate enough to spend an afternoon visiting the Reggio Emilia Australia Information Exchange’s documentation centre at the University of Melbourne. I was interested in taking some time to think and reflect on how other early year’s educators are working with the process of pedagogical documentation within their own education settings. This is particularly pertinent to me after spending the past few months working with the early year’s team at the Whitworth Art Gallery where we constructed our own documentation processes in the Atelier programme. Whilst this process is common practice in many progressive education nurseries and kindergartens, its use within museums and galleries is near non-existent. Reggio Australia’s mission is founded upon the premise of advocating for ‘social justice and democracy in education, giving priority to active, constructive and creative learning by children’ as well as promoting ‘the critical role of research, observation, documentation, and interpretation of children’s processes of action and thought.’ These principles are consistent with the philosophies of the international Reggio Emilia educational approach that was developed in post-World War 2 Italy by philosopher and psychologist Loris Malaguzzi. The Reggio Emilia approach is built around a framework of social constructivist learning theory. Originally proposed by Vygotsky (1930), social constructivism can be defined as the understanding that human’s intellectual, social and emotional growth is developed through social interactions with others of varying skills and expertise. It is through these interactions that new understandings and knowledge emerges from within the specific social, cultural and historic context that an activity is occurring. This sounds like quite a broad and generalised theory but the way that Reggio apply it within early childhood education settings is quite specific. Pedagogical documentation plays an integral role in generating these new understandings. Through making children’s and practitioner’s learning visible and open to interpretation, old beliefs and practices may be contested and new understandings co-constructed among groups of people. Documentation generation is always motivated by a collective intention (usually a question) that is collaboratively decided among the team. Once documentation is collected, it is then collaboratively interpreted and reflected upon through a participatory process of dialogue, negotiation and exchange. From these reflections, new questions and intentions are set for the next learning environment. This iterative process works to build a rigorous and responsive curriculum that is in a continuous state of emergence. Documentation therefore becomes central in constructing a democratic and reflective pedagogy that values subjectivity, multiple interpretations of reality and questioning. Reggio is one of numerous child-centred approaches to education but possibly the most well-known. Whilst my work and research has many shared understandings around how human knowledge is developed, there are also many points of difference. These mainly arise from an art museum not being a school and therefore a different set of rules, divisions of labour and tools exist that mediate how teams of people interact and learn. These differences need to be acknowledged and then considered in relation to what new strategies and tools need to be developed to facilitate the learning of children, parents, artists, education curators and other practitioners in art museums. The pedagogista (this is a Reggio term for an educator who specialises in learning theory) I met with at REAIE made an interesting comment about the need for practitioners to deeply understand the theory and principles of the educational approach before embarking on collecting the documentation. Without this, the documentation becomes a series of pretty pictures without a pedagogical process around it. Understanding theory gives integrity, rigor and meaning to the practice. The need for adult practitioner’s to be open and reflective in their practice. These are actually personal traits and (I swear I am not a cynic) often rare to find in people. Anyone who has ever worked in an art museum for any length of time would probably have identified the sometimes large amount of egos and competing agendas circulating the building. Being self-reflective and adopting a growth mindset can be a very vulnerable place to operate from within this sort of environment. The need to not only describe learning process but also focus on the analysis of learning in the documentation. The need to holistically consider the cognitive, social, emotional and aesthetic learning processes of children. To isolate one, for example to only discuss learning in relation to cognition, is to paint an incomplete and bias perspective of human knowledge. The need to perceive learning as a dynamic, creative and transformative process that is continuously forming new relations between people, ideas, materials and non-human entities. I left the documentation centre feeling inspired and optimistic. I love the value Reggio Emilia place on uncertainty, questioning and dialogic exchange but within a rigorous and methodical education process. As an art educator it is simultaneously exciting, thrilling and terrifying to see the world in an unformulated and forever changing way. Despite what barriers some people are trying to put in place to create social divisions and fuel supremacist ways of thinking, the reality is that we live in a world that is forever changing, diversifying and becoming increasingly interconnected. And no-one knows what will happen in the future. The timeliness of the need to construct and apply pedagogies built upon democratic exchange, uncertainty and diversity are just as critical now as it was in post-World War II Italy. The contribution such an approach to learning makes is significant to both our education system and in the shaping of an empathetic and moral society. Reggio Australia website (2011). Our Vision and Mission. Viewed January 18, 2017. Vygotsky, L (1930). Mind in society: The development of higher mental processes. Cambridge: Harvard University Press.